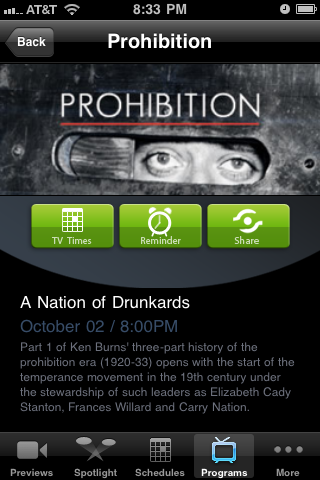 If you can’t wait until October to see how Burns chronicles the “Noble Experiment” in his signature style, you’re in luck: beginning Friday, September 23rd, you can watch the first episode (“A Nation of Drunkards”) when it debuts on the iPhone and iPad via the PBS app. Episode 2 (“A Nation of Scofflaws”) and Episode 3 (“A Nation of Hypocrites”) will be viewable on the app the day after their respective airdates, and remain available through Friday, October 7th. Each episode will also be streamed live on video.pbs.org, timed to the national broadcast. PBS for iPad features 250 hours of free video, including full-length programs, as well as schedules, previews, and a calendar that can be synced with iCal. 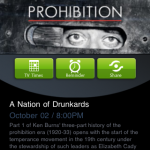 PBS for iPad and PBS Apps for the iPhone and iPod Touch are available for free download from the App Store. 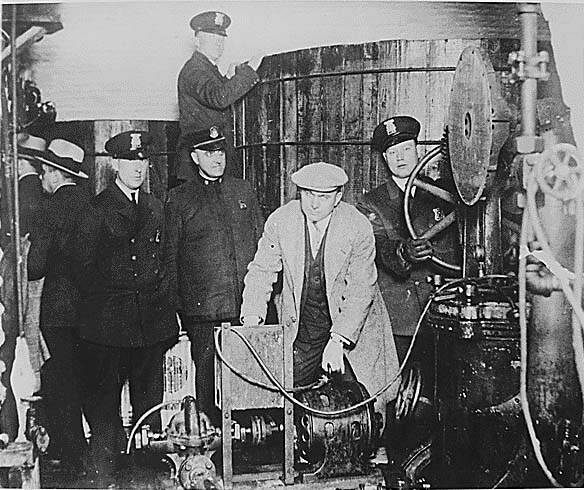 For more information about Prohibition, visit the official website at www.pbs.org/kenburns/prohibition.